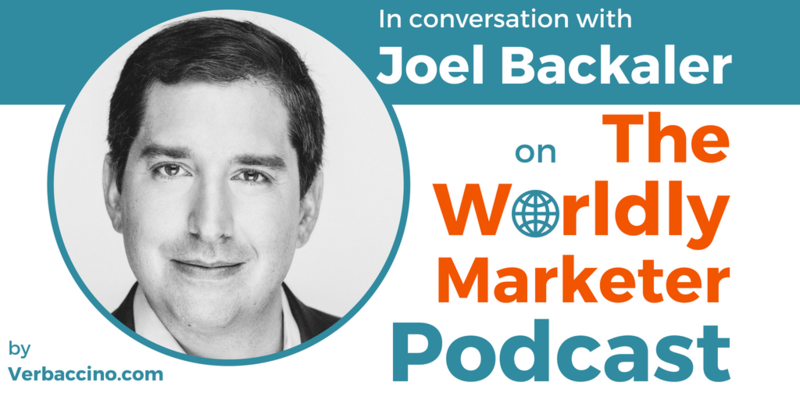 Joel Backaler is a global marketing strategist, an award-winning author, and an international keynote speaker. He is Managing Director at Frontier Strategy Group, a research and advisory firm that helps companies enter and expand their presence in international markets. Joel combines his expertise in global marketing with a strong connection to China. He is a member of the National Committee on US-China Relations, and he is a fluent Mandarin speaker. Early in his career, he spent many years working in Asia, including in Beijing, Shanghai, Taipei, and Singapore. Joel’s writing has appeared in business media outlets including Forbes, the BBC, and The Financial Times. He is a sought-after international keynote, with previous speaking engagements in Asia, Latin America, Europe and North America. Last but not least, Joel is the author of two books: China Goes West, which was originally published in 2014, and a new book, coming out in September 2018, called Digital Influence: Unleash the Power of Influencer Marketing to Accelerate Your Global Business.